CIA assassin Fortune Redding is about to undertake her most difficult mission ever - in Sinful, Louisiana. With a leak at the CIA and a price placed on her head by one of the world's largest arms dealers, Fortune has to go off-grid, but she never expected to be this far out of her element. 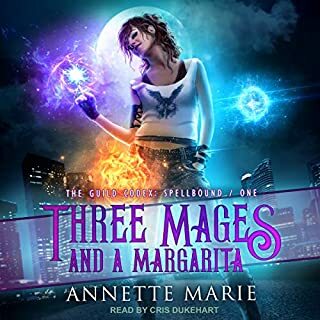 Posing as a former beauty queen turned librarian in a small bayou town seems worse than death to Fortune, but she's determined to fly below the radar until her boss finds the leak and puts the arms dealer out of play. Unfortunately, she hasn't even unpacked a suitcase before her newly inherited dog digs up a human bone in her backyard. Thrust into the middle of a bayou murder mystery, Fortune teams up with a couple of seemingly sweet old ladies whose looks completely belie their hold on the little town. To top things off, the handsome local deputy is asking her too many questions. If she's not careful, this investigation might blow her cover and get her killed. Armed with her considerable skills and a group of elderly ladies the locals dub the Geritol Mafia, Fortune has no choice but to solve the murder before it's too late. 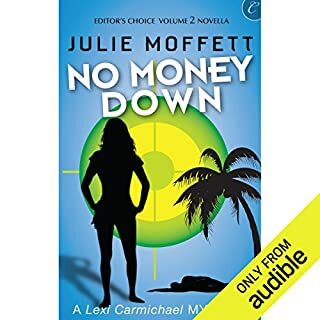 ©2012 Jana DeLeon (P)2015 Audible, Inc. This is about the 4th time listening to this story and I loved it again. Each time it gets better. I crack myself laughing at Walter's comments about running from the alligators and the garbage bag incident. This story has great female friendships and strong female characters. The narrator does a great job with all the characters making it easy to distinguish between characters talking. Storyline makes me want to head South! Good characters and storyline. A laugh out loud story. For a $4.95 investment, this book was good entertainment and I'm willing to move on in the series. Finding Miss Fortune was a happy accident. While a fan of Janet Evanovich's Stephanie Plum, I gave up on Evanovich's audio books because the reader is so awful (and so NOT New Jersey). Jana DeLeon's Miss Fortune is equally silly, but the character line-up of Fortune, Ida Belle, Gertie, Carter LeBlanc and the rest are so appealing that you find yourself willingly going along for the ride with their hairbrained antics. The narrator (voice actor) Cassandra Campbell does a great job of capturing each character uniquely in all the southern glory. The books are not 'deep' and Fortune, however much she may be conflicted about being an assassin is no "troubled soul." She is more of the "woman with a gun" model who's ready to lock and load and take on any challenge. In a bizarre kind of way, given that few of us are trained in armed combat, sharp-shooting or other deadly arts, Fortune is very endearing and a little inspiring. I love that her two best friends are octogenarians. Gertie is forever the comic relief (sometimes to overkill), but the real trump card for me is Ida Belle. The characterizations, between the text and skill of the narrator, quickly engage your imagination and empathy and are hugely enjoyable. Read them in order as the story progresses. They are terrific long car-ride or computer (or walk the dog) books. I'm a fan of the Miss Fortune series, but could not make the leap to DeLeon's Mud Bug series which had too much romance and silly, not enough character development. Jana DeLeon has written quite the original story. She has created one of the strongest female protagonists I've encountered in books. I cannot say too much about her as I don't want to spoil the story. Cassandra Campbell does a wonderful job of distinguishing one character from another. Her voice is beautiful and brings the story to life. I highly recommend this book. 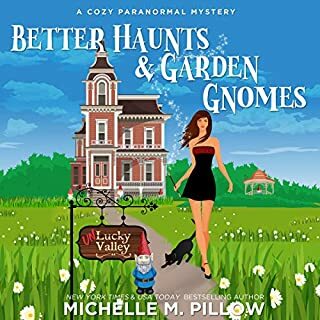 Fans of Stephanie Plum's characters would probably feel right at home with this female CIA assassin in hiding and all her quirky neighbors. Great narration really brought the characters and story to life. It was hilarious! It was suspenseful! It keeps reader interested. Looking forward to reading another of the author's books. What fun! This book made driving much less tedious. And at times I was laughing out loud by myself in the car. I love Janet Evanovich. 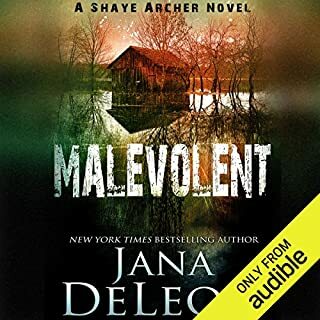 How am I just now finding out about Jana DeLeon? Thank you Audible.com. 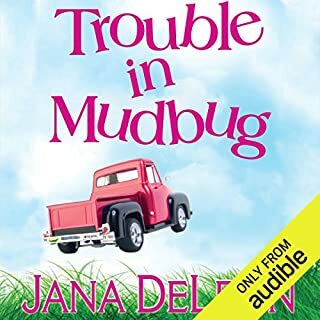 I have been enjoying Jana's books since I found her mud bug series. I enjoy the humor with the murders :-). I have to start with the narration: Cassandra Campbell has never been anywhere near Louisiana bayou country. In the first place, “Louisiana” is pronounced with only four syllables: loo-zee-anna. Nobody, I mean nobody in bayou country sounds like any of these people. They don’t have stereotypical southern accents (if anyone anywhere does). And you don’t pronounce the “c” in LeBlanc (like a Mont Blanc pen). And that’s just for starters. Why can’t ANYBODY take the trouble to look up the pronunciation of Atchafalaya? Sheesh, can’t these people at least listen to a tape or something before they try to represent an ethnic group? At least listen to Will Paton narrate the Dave Robicheaux books. Louisiana accents are as varied as New York City accents, so most of us are going to quibble with any not exactly like what we grew up with, but Paton gets it close enough, soft enough to be generally pleasing and worth emulating. I don’t expect a “foreign” character to get it right, but she would at least hear people pronouncing their own names correctly. Okay, now that I’ve gotten that out of my system: treat this as a fantasy set in some mythical location that just happens to have the same name as our beloved state, and then it becomes truly silly mind candy – not very nutritious but hey, dessert isn’t supposed to be. Worth the listen just for the wonderful neighbor, Gerty, with whom I immediately fell in love. And having been raised Southern Baptist in South Louisiana, I laughed out loud at the mere mention of Sinful Baptist Church with its group of Sinful Ladies. The ladies are what makes the book such a joy. And this is a book about strong, funny women. The men are strictly background noise. The main character is, well, not even vaguely believable. A CIA assassin who’s squeamish about sleeping in a dead woman’s bed and can’t keep her mouth shut to maintain a cover identity two hours into town? And puh-leeeze, you might find a town called Sinful somewhere out west, but NEVER in Louisiana – the culture is much too religious to play games with something like that. Much more likely to have a saint’s name. 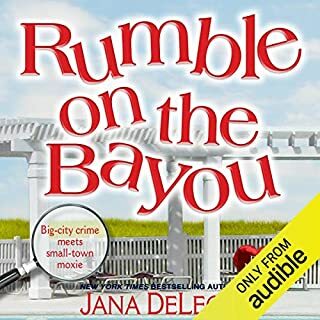 Alright, author Jana DeLeon is from the western side of South Louisiana, not quite as Catholic as you get closer to Texas. Let it go; it’s like the accents - if you treat this as pure farce, it doesn’t matter. And then there are the “pudding wars” – oh, yes, I have lived multiple versions of this game. In most places it was called “beat the Baptists”. If you don’t already know what that means, listen to the book and prepare to laugh. I you do know, you’ll laugh out loud at the version played in Sinful. DeLeon reeled me in completely when she got to the description of the ramshackle “camp” on Number Two. Yes, this is called “fun” in the Sportsman’s Paradise. No spoilers, but let’s just say that the bayous, waterways, buildings, and (oh my, yes) the bar “out in the parish” (as opposed to in town) are wonderfully accurate. I’m not rating this on literary merit but on how much fun I had listening to it. To be honest, I listened while sick in bed, in no mood to be “challenged” in any way. I will definitely listen to the next book in the series; hope it continues to delight. Four stars for story, a grudging two for narration because I have heard worse. Fortune Redding is a CIA assassin whose identity was leaked resulting in an arms dealer putting a price on her head. So Fortune is ordered to go into hiding. She ends up in the town of Sinful, Louisiana, population 350. 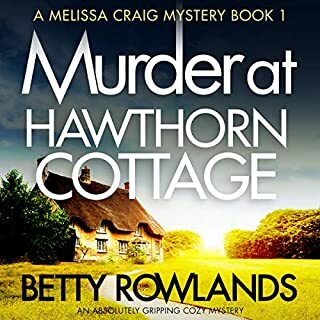 The very first day there her dog finds a human bone, so she becomes involved in a murder case with an attractive male deputy sheriff and the two old ladies who are the only living founders of the Sinful Women's Society which actually runs the town. Membership is limited to old maids and women who have been widowed for at least 10 years. Taken strictly as a murder mystery Louisiana Longshot earns 3 stars (good, but not special). Humor is where the novel excels with its off color jokes and funny and embarrassing situations. It is often laugh-out-loud funny, and it occasionally lapses into total silliness. 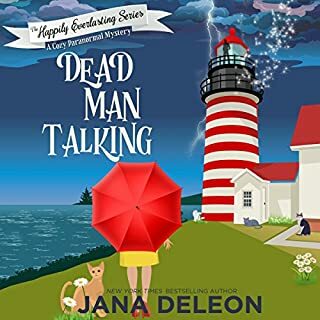 This is Book 1 of the 10 novel Miss Fortune Mysteries by Jana DeLeon. I first read this novel 6 or 7 years ago. 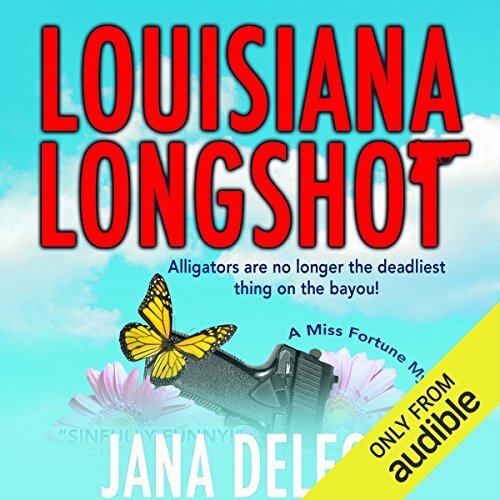 The slap stick humor and cozy mystery aspects of Louisiana Longshot were typical of Jana DeLeon's novels until the Shaye Archer Series novels which are outstanding, moderately dark suspense and action mysteries. Strong funny story from start to finish . Plenty of action and nice little story twists. The dialogue was hilarious at times and interesting enough for me to listen to the whole book in a day. Good enough for me to read more in this series . Well recommended by me as its worth its 5*rating . Enjoyed the characters good story and well narrated.will be looking out for more from this author. I was looking for something light and amusing to counteract my bleak commute and this was perfect. The narration is great and the story is both entertaining and well crafted. Romance takes a definite back seat, though there is a handsome deputy in the background. This is more in of an outrageous escapades story than a romance. There are some nice twists and surprises and the characters are well crafted. I inhaled all of the books available in this series in about two weeks and pretty much enjoyed them all, but this first book is one of the strongest. Definitely not a one shot wonder of a book!!! I first read this on the kindle and JUST had to own the audio book too. 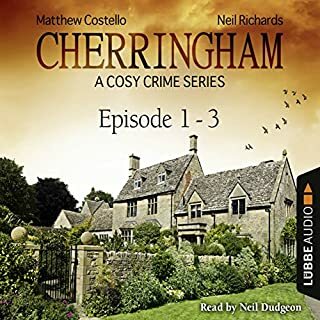 I have listened to the story serval times now and have even gone on to purchase other audio books in the series. This is a brilliant start to the series of Miss Fortune books. 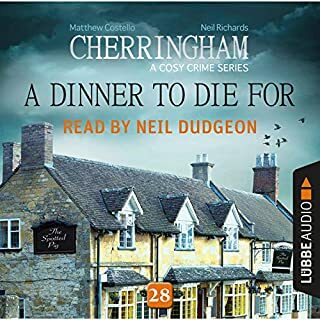 They are stand alone stories and the murder/crime is solved at the end of each book, however there are a lot of returning characters and I personal think it is best to read them in order so START WITH THIS ONE, you wont be disappointed if you like funny crime cappers. Fortune is in hiding from a bad guy and the only why to stay alive is to go under cover in a town called Sinful, as an ex beauty queen turned librarian, the only problem is the name Fortune stands for 'soldier of fortune' and she has no idea how to be a girly girl. 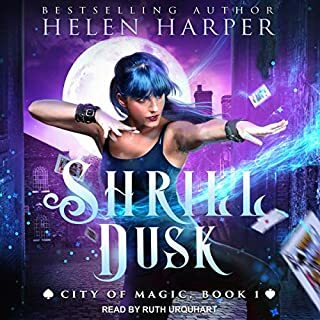 After breaking the law and getting caught by the deputy before she has even crossed over the town lines, Fortune thinks this could be her toughest mission ever and that is before she finds the dead body in her back yard. I hope this first book is the start of a good series. 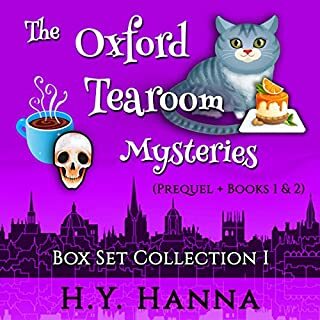 It is amusing in places with interesting characters, murder mystery, action & hints of romance. Brilliant start to the series. I’ve already downloaded book 2. Buckle your seat as this is a fantastic ride. Great story, it has everything. Well defined characters, good descriptions, humour and interesting weather. Small towns never sounded so exciting before. I love easy listening to get through housework and gardening. This is one that is interesting, funny and moves quickly enough that you don't get bored and move on to an old favourite. Will listen to others by this author.